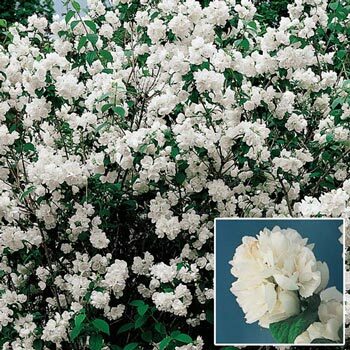 A wonderful, orange-blossom-like fragrance makes this showy white-flowered shrub very popular. Vigorous and easy to grow, it's great for foundation plantings or shrub borders. Foliage Type: Serrate oval 3" medium green leaves. Flower Form: 2" double flowered with 3 - 7 racemes. 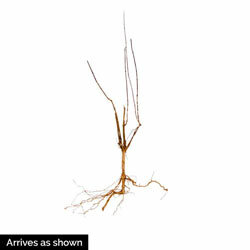 Soil Requirements: Well drained, humus enriched soil is best. Pruning: Prune annually after the blooming period, to help maintain its shape, in early summer, since the shrub blooms on the previous year's growth. Winter Care: No winter care needed.